Use promo code BEER18 to receive an EXTRA 10% off your vacation rental! As the official lodging sponsor of the 10th Annual Steamboat OktoberWest, Simply Steamboat is proud to offer event attendees an additional 10% off our existing discounts. Just enter promo code BEER18 during the online booking process, or mention it to one of our friendly vacation specialists if you choose to call, and receive 10% off our already discounted lodging prices. The 10th annual OktoberWest is presented by Resort Group and Steamboat Springs. The weekend kicks off on Friday, with the Downtown Beer Stroll. A pub crawl through historic downtown with stops at restaurants for beer tastings. 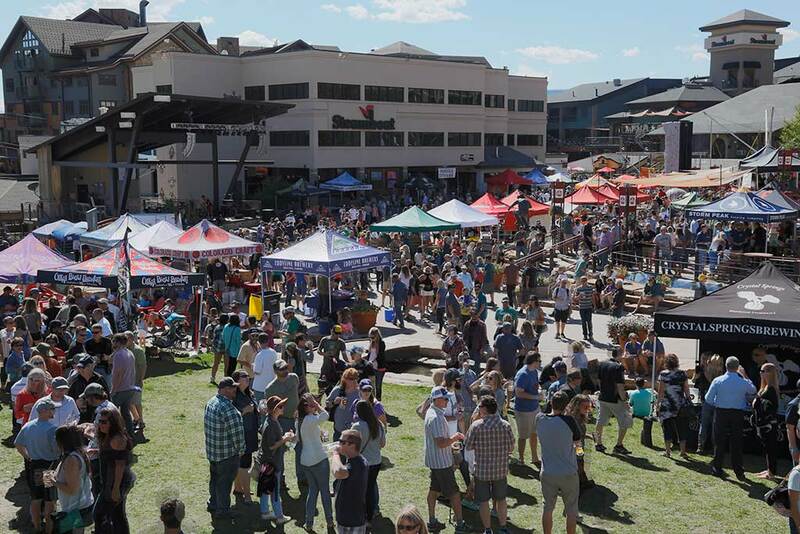 Saturday’s event, Beer Garden and Beef Cook-off take place at the Steamboat Mountain Village, with live music from Euforquestra . For our 10th anniversary we’ve added the VIP experience, drink in style at the event with our commemorative ceramic stein. Purchase tickets in advance for any of the weekend events at SteamboatOktoberWest.com. Stroll at your leisure through downtown Steamboat Springs with your event mug in hand. Try out all the beers available at the participating restaurants. Each stop on the stroll will offer a specialty beer on tap for you to taste. Tickets for the Beer stroll include an event mug and 2 tastings at each of the participating restaurants. Must be 21 or over to join in. BEEF, BEER and Steamboat! I Love Beef Cook Off and Beer Garden takes place on Saturday at Gondola Plaza from 2-6pm. The Beer Garden will feature over 45 Rocky Mountain Brewers, each sampling 2 kinds of brew! Enjoy live music from Euforquestra as you dip your feet in the creek. Take the kids along to enjoy the Coca-Cola adventure zone. Steamboat Restaurants will be serving up their very best beef in hopes of winning your vote for the best beef in town.